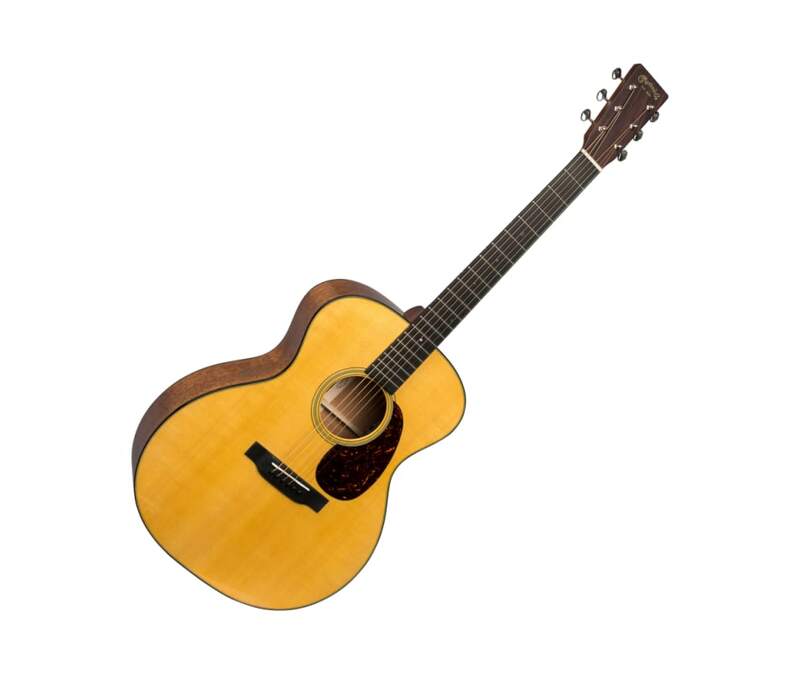 The GP-18E Grand Performance, acoustic-electric model has been finely crafted with a solid Sitka spruce top, genuine mahogany back and sides and solid black ebony fingerboard and bridge. A sleek modified low oval neck with a high performance taper offers ease of play up and down the fingerboard. Tortoise color binding and matching pickguard embellish this model. This model is equipped with LR Baggs Anthem electronics for stellar amplification in the studio or on the stage.